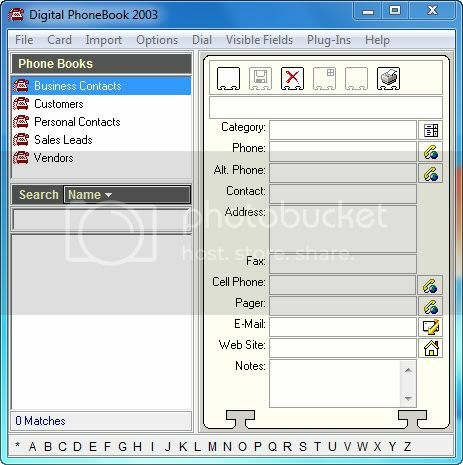 Digital PhoneBook is a simple, user friendly, phone number, address, contact management, business contact manager, and sales lead organizer software. This electronic PIM (Personal Information Manager) is designed to be user friendly and fast. It has many customizable features for quick and simple searching. Get organized with Digital Phone Book today.